In the last days of 2013, my grandfather passed away. Simon (Syzmek) Korn was 90 years old, and he lived through many things in his life, but none more harrowing than the Second World War. The war started for him on the day Germany invaded Poland in 1939. It was supposed to be the first day of school, but school was cancelled that day. Simon spent most of the war in the Lodz Ghetto, and when it was liquidated he was sent in a cattle car with the rest of his family to Auschwitz. He spent the remainder of the war in a number of different Nazi concentration camps, including Buchenwald (where he was eventually liberated). My grandfather was many things: a son and brother, a husband and son-in-law, a father and a friend and a survivor. For me, he was a grandpa, and some of my best memories with him involve very grandfatherly activities. He liked to play and have fun, and he also liked to tell stories. Even when I was very young, he told me stories of his experiences during the war and in the camps. These stories were so much a part of my childhood that I honestly can’t remember a time when “the Nazis” and “the Germans” weren’t a part of my vocabulary and imagination. He wasn’t trying to scare me, and he wasn’t being boastful at all. In fact, he was very explicit in his throwing off of the heroic mantle that is sometimes thrust upon Holocaust survivors. He said that he was not a hero, and that his survival owed as much to dumb luck as to anything else. It was dumb luck and a certain amount of craftiness – the ability to steal some extra soup or cut in line, things of that nature. The kind of things that you do to survive when you have been dehumanized and put into a situation that is not human. The real heroes, he would say, are those who remained human in that place, those who remained decent in spite of it all. And those people did not survive. 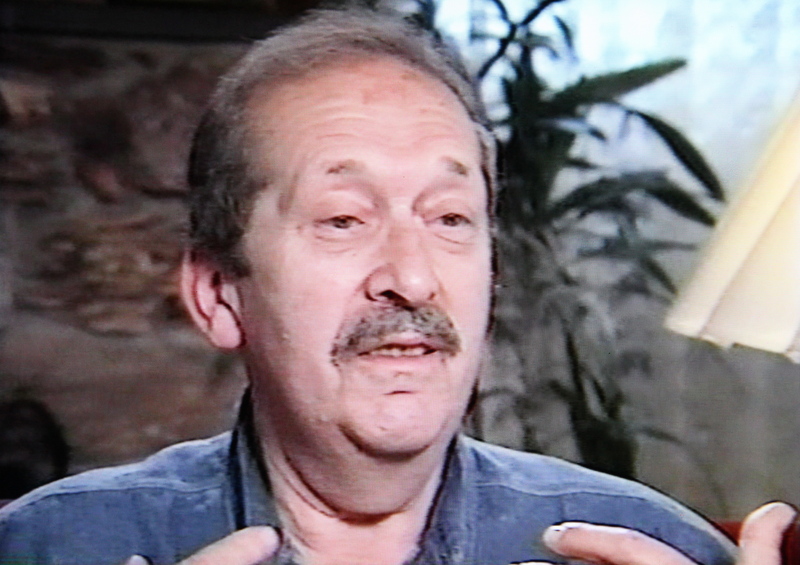 A screenshot of Simon Korn, during his interview with the Survivors of the Shoah Visual History Foundation in 1995. No, he didn’t share his stories to build himself up, but he did have an agenda. He said that the world needed to hear his story, and others like it, so that it could stand guard, and make sure that this kind of thing never happens again. This was especially true of the younger generation, he always said, those who were not alive in those days and did not live through them. He said that we must remember what happened because it is so easy to forget. He did his best to ensure that people would remember, but he also realized that to remember is not enough. How we remember is almost as important as what we remember. And he somehow managed to remember honestly, but without hatred or bitterness. That, for me, was the most amazing thing. He saw his experiences for what they were, and avoided seeing them through rose colored glasses certainly, but also through glasses that were totally blackened out. Of course his natural desire was for justice, but he somehow stopped short of revenge and hatred. It did not happen overnight, it was a lifelong process, but he was able to take a firm stand against all forms of prejudice and intolerance, even with regards to his former oppressors. As he said, he realized that those who went through what he went through and were still filled with hate were not yet free. He wanted to be free. 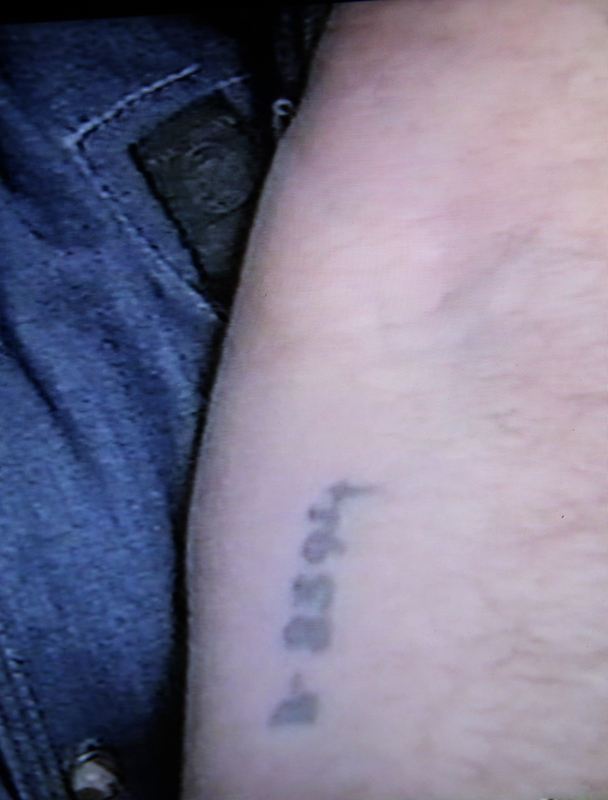 A shot of the number that was tattooed on Simon Korn’s arm during his incarceration at Auschwitz. It reads B-8394. Of course, it is impossible to talk about someone’s legacy or lasting influence without oversimplification. Simon Korn was many things, like I said, and it would be wrong of me to try and reduce all of who he was and what he meant to me and to others down to one idea or principle. However, it is difficult for me to look at his life and not draw an important lesson from the shape of it. He went through the worst that this world has to offer, and came out on the other side, not to forgive and forget, but to remember and to avoid contributing to the cycle of violence and bigotry which so shaped and damaged his own life. He was dehumanized, but he was able to recover his humanity, and refused to dehumanize others in return. He refused to shackle others (and himself) with the chains that he had just been freed from. Although I am sure he would object to me saying so, I think that makes him a hero. Hanging on to the hope that soon you’d be leaving. And only God knows why in that hell you were placed. And forgiveness that surpasses all time and space. I still can’t understand how you don’t have hate. With what you went through, but I think you’re on the right track. Hitler was hate and we can never go back to that. And to never leave any food left on my plate. But never seek to hurt anyone or kill. All God’s sons, even Germans too. More than 60 years later most hearts remain sore. They marked you as a survivor forever. They could never break your spirit even though they broke your bones. To shake the slumbering and force them to think. Josh, I didn’t remember that your Grandpa had died. I love this tribute you have written to him. I remember him as a lovely older man. You have such a wonderful legacy in him. Thanks again for a great piece. Beautiful, Josh. Our condolences and love…. Beautiful tribute to a beautiful man! Prayers for you and your family. The last time I talked with your Grampa, he told me how proud of you he was. Said your Dad did a lot better with you than he had done with your Dad. I think he was mistaken – he did a mighty fine job of fathering/ grandfathering with both of you. He was a special man. Sorry to hear about Grandpa Simon. I know how much he influenced you. It is a unique experience being the grandson of a Holocaust survivor, and one that loves to write and commemorate as well. Keep on! Thank you for sharing this beautiful tribute. I am deeply touched.So blessed that I got to meet him.